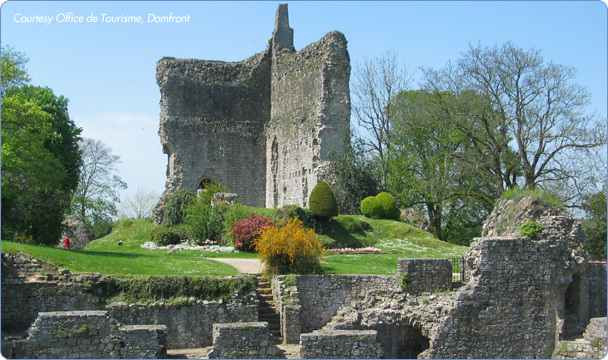 Normandy is a region rich in history, beautiful countryside, beaches and visitor attractions. Normandy is blessed with three world class attractions. Mont St Michel. The spectacular abbey attracts 11 million visitors a year. Open all year round and open until late in the summer months. The Landing Beaches. A multitude of museums pay tribute to the soldiers who came ashore on D-Day. The beaches stretch from Ouistreheam to the Contentin peninsula and there is a museum at Sainte-Mère-Eglise, dedicated to the American 82nd Aitborne division..
Bayeux, home of the tapestry and a charming medieval town. 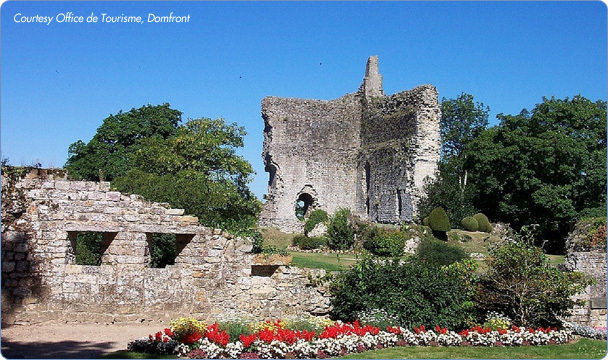 Domfront - remains of the ancient chateau, medieval churches, cobbled streets and centuries-old buildings. Caen - chateau, abbeys, museums and shopping. Bagnoles de l'Orne - the biggest spa town in western France, a charming town set around a large lake, overlooked by the casino. Domfront sits in the middle of the Normandy Bocage. Bocage refers to the ancient method of raised borders around the fields that give the region its beauty. The countryside is green and undulating. It is perfect for walking, cycling and touring. Normandy is full of easy-to-follow walking routes and cycling paths, many of which follow disused single-track railway lines. If it is beaches you prefer you have a multitude to choose from - Carolles, Deauville, Trouville and Ouistreham. For the more active (or adventurous), there is bungy jumping at Clècy, canoeing at Torchamp or Thury Harcourt and balloon flights are also available. For the children there is Festyland at Caen, The Enchanted Village at Belle Fontaine, the Zoo at Jurques and the water park at St Hilaire de Harcouet. There are also excellent swimming pools at Flers, Thury Harcout and Bagnoles de l'Orne.